Software is every bit as important to a tablet as hardware, and the software we've seen on the Xoom, the HP TouchPad and the Blackberry Playbook puts the current-gen iPad to shame. At a minimum, the iPad OS needs a better notification system, a fresh approach to multitasking and wireless syncing between the iPhone, iPad and iTunes. The question is whether Apple will withhold its iPad OS updates until the fall, as the company did last year, or introduce some software changes alongside the new iPad hardware. 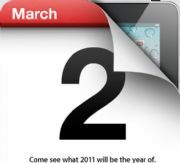 Rumors have gone back and forth on whether the iPad 2 -- or perhaps the iPad after that -- will include a 2,048-by-1,536 resolution display. It seems like a stretch for whatever Apple introduces next Wednesday, but a large-screen equivalent of the iPhone 4's retina display would give the iPad a clear advantage over its rivals. The Xoom's biggest failing at launch is that it'll only be available as a 3G/4G model for $800, or $600 with a two-year Verizon contract. And even if you pay full price, you'll have to sign up for one month of data, adding at least $20 plus a $35 activation fee to final cost. So far, Apple's managed to sell the 3G iPad without this burden. 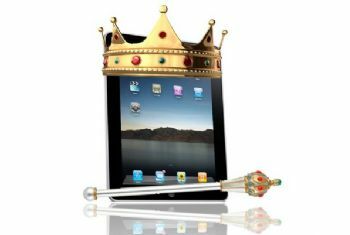 Continuing to do so with the iPad 2 will widen Apple's price advantage. Remember last year, when Apple said that it can be "nimble" on pricing? The company may not need to drop prices with the Xoom coming in way over Apple's entry-level $499 iPad, but an even lower price -- or perhaps more storage for the same price -- could bury the iPad 2's costly competitors.